LADAMO strikes as a more complex/richer version of Huitieme Art's Fareb as it basically opens with the same rooty immortelle/ginger accord. Anyone who's usually not into helichrysum should carefully avoid this composition as this is what it's all about. The immortelle note is devoided of most of the burnt-sugary feel and emphasized on its fenugreek and woody-liqorice aspect while a light mimosa note provides a little refinement that's not enough to tame this insanely powerful composition. 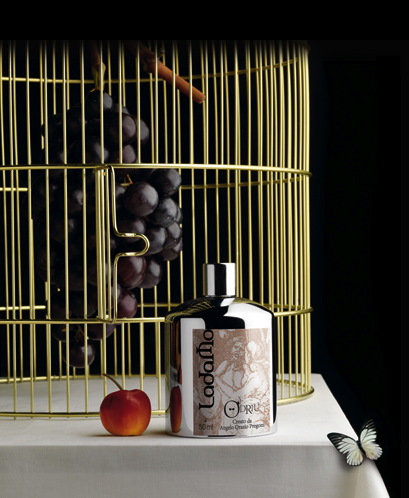 Where Fareb introduces leather, LADAMO pushes on spices (mainly cardamom) and juniper to add even more body. 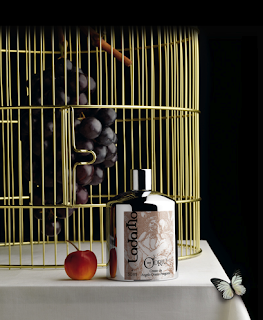 The fragrance stays pretty linear for hours and hours to finally "evolve" into a galbanum driven drydown. Definitely masculine, full-bodied and with a strong herbal quality. LADAMO It's pervaded by a rough edge as opposed to sophistication and refinement and in this context it shares the same old apothekary quality of ancient houses such as Santa Maria Novella. For other aspects (the use of spices and the overall oriental feel), it may bring to mind of an uncompromising version of some early Diptyques. A fragrance that sounds like a statement, a statement that speaks of great quality ingredients, a couple of accords, no frills.